Hanoi the days in October autumn still gentle sun morning, a little north-east wind in the street, sweet fragrance of milk every night. 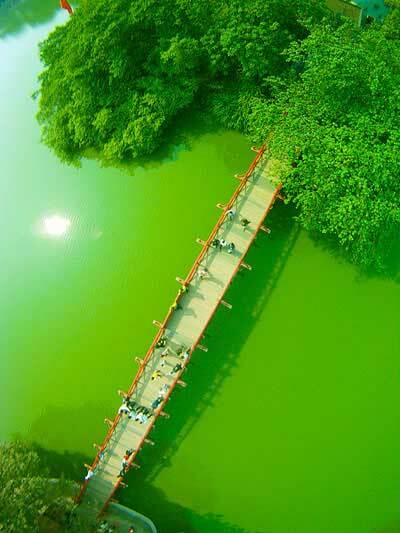 Hanoi peaceful way, come right away once but will forever carry nostalgia. Falls past, Hanoi many changes but Hanoi autumn is fond, full the nostalgic beauty. Love for Hanoi so, over the years to earnest, more deep. 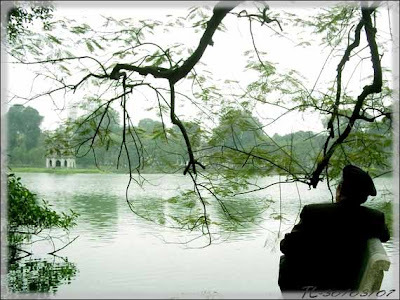 He said : Despite living in the heart of Hanoi is always awake to remember about this place as the memory of a way of home. Sounds strange but also very easy to understand, because when a loving heart stopped beating the miss rate. With Ms Le Boi Huyen in 419 lane Giai Phong street, Hanoi is the memory array is not known the name. She recalls: Capital release date in 1954, her family is in the suburbs of Hanoi. In her imagination Huyen 10 years old, the mother’s narrative, Hanoi celebrated that day and very happy, always full of flags in streets. Growing up, the more profound memories, nostalgia Hanoi deeply. Undermining the war years, she was evacuated families in Bac Ninh. 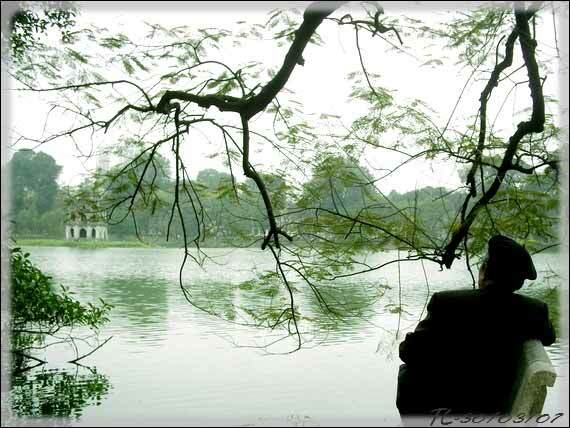 Every time you return, though busy, she still visited Hoan Kiem lake to drink coffee. There was afraid late hours of the train, not drink coffee. It’s simple, she is so in Hanoi, romantic memories are like smog, a kind of love has no age. “My family stayed Tran Hung Dao street near Hanoi train station. Each trip was a chance that we would return home from Hanoi train station walk down to the library, go to the Quang Trung street to Thien Quang Lake play. Autumn in Hanoi is quite cold now. Hanoi fall deposition without any real alternative “- Ms. Huyen said. Hanoi fall memories of him are very far these days with my friends riding through the streets filled with yellow Sau season replace leaves, delicate of milk flowering, sweet flavor of Ylang ylang. 40 years away Hanoi, but with Ms Do Thi Hoang Yen in Ward 10, Go Vap District, Ho Chi Minh city, though thousands of miles way, where the South is full sun, but each city roof moss, pensive turtle tower, roads, trees such as Hanoi’s still very close. One-way travel between Saigon rain or accidentally through a flower color, a scent on the street, listening to a song, enjoy a delicious Hanoi suddenly missed overflow. A busy day in Hanoi, Hanoi a quiet night was so anxious for any student when away from Vietnam. Born in the Old Quarter of Hanoi, with Miss Nguyen Tu Chi, a student at Harvard University states Masachusset, Hanoi is the love, the spiritual is strong, because that is where the nurturing childhood soul, store memories with your family and friends. Although sticking to Hanoi last few years of college but love of many young Hanoi increases as much as the memories. That’s going to school every morning, greet the new day with affectionate eyes, warm smile of an old man when giving seats on the bus, is one way for his friends on the roadside shops or toad weekend stroll playing the old town.